Fancy a fiver off a new dress or pair of shoes or a new handbag or dress? Pop along to your nearest Wallis to be presented with a voucher to use at the till, or simply buy online and enter APRIL30 at the checkout. 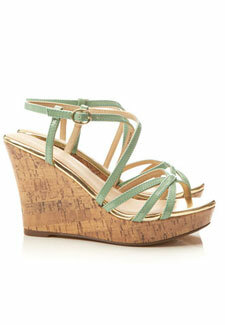 Our top pick would be the Green Wedge Sandals, £35. Deal ends on April 30th.